So this week, we had a lot of catching up to do. We realized we had baptisms this week, instead of next week, like we thought. So, we had to run around and get the baptismal forms filled out, and get interviews set up. 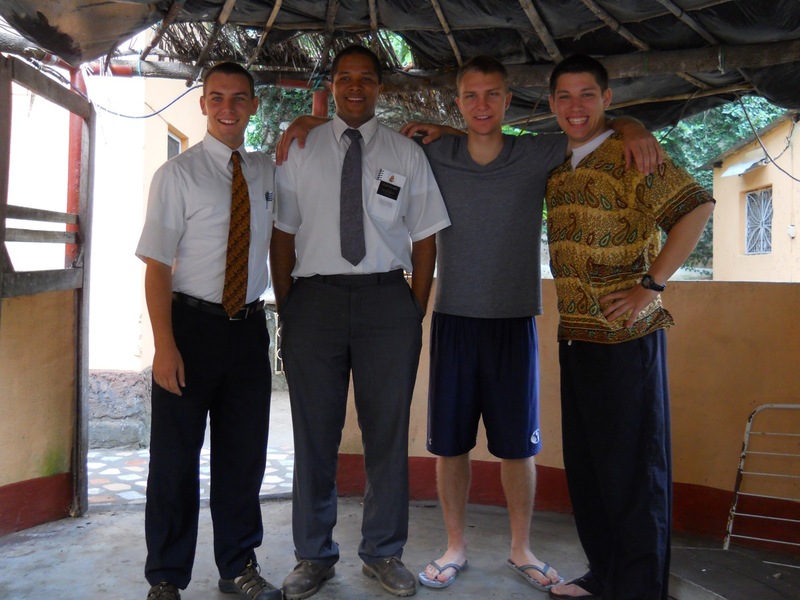 In addition, I had to give a few interviews, and Elder McCulloch was working on getting a branch council set up, with hand delivered notes informing them they should come. This meant that we needed to figure out where everyone lived, which was hard, and then we had to get them there. So that was most of our week. 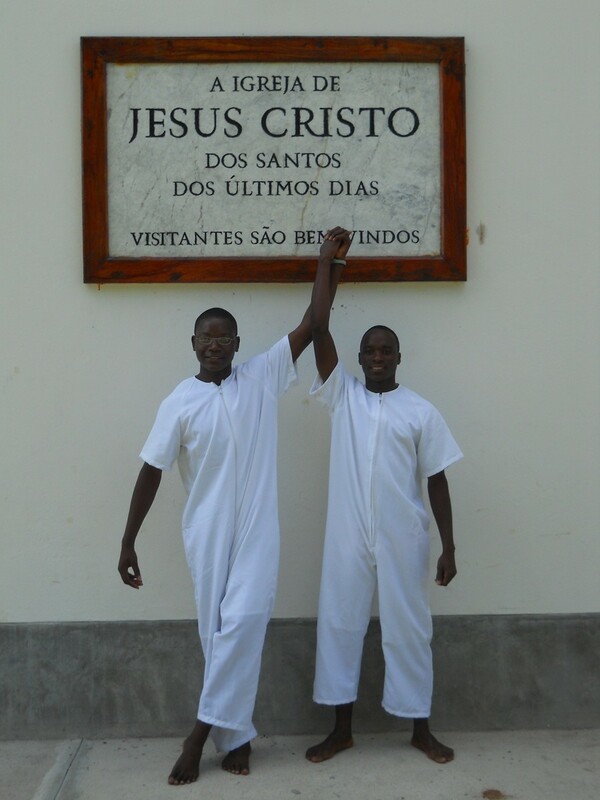 I went out to Inhamizua to interview a few baptismal candidates, and taught with Elder Correira, from Cabo Verde. We talked to an old man and his granddaughter, and spoke about respecting your elders. Apparently, the granddaughter had beat the old man with a stick the previous week. I felt so bad for her. I don’t even know why. But I knew she was laden with sin, and I wanted to help her, in the best way a could. I don’t remember everything that I said, but I do remember that I was prompted by the Spirit to share a few thoughts and scriptures. I think this is the first time in my life I have received such a huge, obvious prompt from the Spirit. I can really tell that I wasn’t the one speaking. The Lord wanted to say something to that young woman, and I had the opportunity to be His mouthpiece, to help her. I loved it. I’ve started studying the Doctrine and Covenants, with a study book (from the BYU college class) in Portuguese. It’s interesting, and super cool to see how much it applies in my life, and in all the things I have been studying recently. I also started a bit of a personal study into faith and Personal Integrity. It’s interesting to note how many people (myself included) won’t lie, but will justify things internally, or lie to themselves. So I want to figure out a way to increase my own personal integrity so I can better my faith in the Lord. I had an interview with President Spendlove this week (first since I got here… :P). It was incredibly awesome. He helped me get through a few things that I was struggling with, including some things about being district leader. “What,” he asked, “do you feel is your main purpose as a district leader?” I came up with some weak answer about helping people, and President shot it down. “A leader’s main task is to be an example. Think about it. If President Monson were to go out right now and have a drink with some buddies, do you think that anyone would listen to him any more?” So for me, I am starting to internalize my search for helping. I still ask if anyone needs help, but I am working on better myself, to help edify others. (hint hint) The baptism was great, and incredibly spiritual. I am so grateful for the opportunity I have to be here and help people, one at a time, to bring themselves back into the fold of Christ.